This 1958 release marks a period in Lou Donaldson's development prior to a stylistic shift away from bop and toward a stronger rhythm and blues emphasis. Three uptempo tunes here are pure bebop; the remaining number is a medium blues piece, quite characteristic of the hard bop period. The front line on this set includes Donald Byrd and Curtis Fuller with the rhythm section of Sonny Clark, George Joyner and Art Taylor. The influence of Charlie Parker can be heard in virtually every modern jazz musician, particularly players of the alto saxophone. 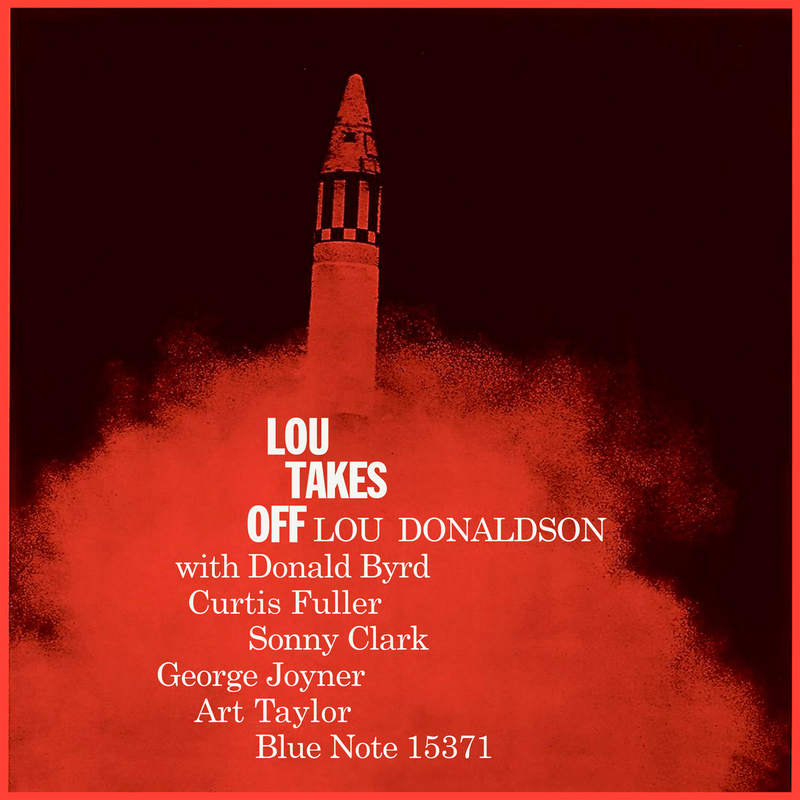 Although considered to be one of "Bird's children," Lou Donaldson absorbed and synthesized other pre-Parker influences, such as Johnny Hodges and Benny Carter. This recording marks a period in his development prior to a stylistic shift away from bop and toward a stronger rhythm and blues emphasis. Three up-tempo tunes are pure bebop; the remaining number is a medium blues in B flat, quite characteristic of the hard bop period. The front line on this set includes Donald Byrd and Curtis Fuller; the rhythm section is Sonny Clark, George Joyner, and Art Taylor. Overall, Lou Takes Off breaks no new musical ground, but it is a solid, swinging session of high-caliber playing. Produced by Alfred Lion. Engineered by Rudy Van Gelder. Recorded at Van Gelder Studio, New Jersey on December 15, 1957.